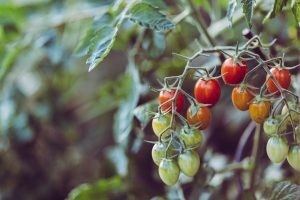 Tomatoes make a superb Summer crop in a Mini greenhouse, as they are quite small early on, when the Mini greenhouse is full of more tender plants waiting for the danger of frosts to pass. As these plants are taken out at the end of May, the tomatoes then have room to grow. 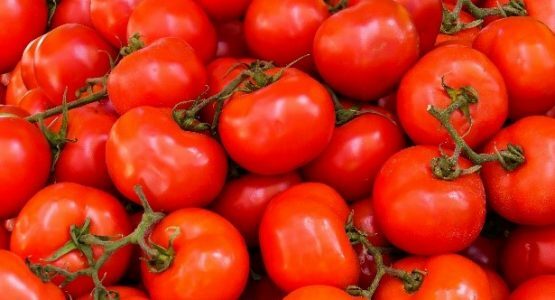 As tomatoes are in the same family as vines, they tend to grow very tall. In a Mini greenhouse this can be a problem as they will quickly reach the roof. Either try dwarfing varieties or pinch out the shoots when they have reached the desired height. As the first few trusses of the plant tend to be pruned off to encourage fruit development, this presents an opportunity to plant lower growing plants such as chillies, peppers or even a cucumber in front of the tomatoes in the mini greenhouse. These then can take advantage of the light at the lower levels. Companion planting is the concept of adding plants to the Mini greenhouse that will keep pests away from the crops being grown. As a mini greenhouse will provide warmth and shelter for both pests and beneficial bugs, it is a good idea to encourage the latter so that damage from pests is minimised. Many gardeners plant marigolds next to tomatoes and peppers to deter bugs such as aphids. French marigolds are compact, so will not take up too much room in the Mini greenhouse. It is also said that planting mint near to tomatoes will improve their health and also their flavour. The strong mint aroma isn’t pleasing to many crop pests, so acts as a powerful deterrent, as well as providing fresh herbs for the kitchen. As mint is very vigorous, it is always best to plant it in a pot. Poached Egg Plants are also a good companion plant to deter bugs by attracting beneficial insects such as Ladybirds. These will readily devour aphids, and other bugs. Fennel, Dill and Yarrow are also said to have similar properties to the Poached Egg Plants.